On March 21, 2012, we sat down with Vinessa Milando, the President of the non-profit trade association StayNYC. Read her interview below to find out about the goals and aspirations of StayNYC and the significant impact the Short-Term Rental Ban (“Chapter 225 of 2010”) has had on small businesses in New York City. Q: What are StayNYC’s goals? Q: How many members does StayNYC have? Q: What is the profile of a StayNYC’s typical member? Q: Can anyone become a member of StayNYC? 1. 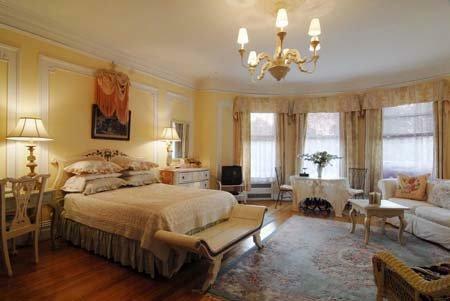 Our members are registered NYC small facilities operators; on our certificate of authority it says Bed and Breakfast. We collect and remit hotel tax. 2. All members pay State and City sales tax and required Occupancy taxes. 3. We exclusively use our small buildings as a Bed and Breakfast. 4. Our members own on average only 5 rooms. Q: Does StayNYC organize conferences and workshops? Or plan to? Q: Any other information or specific messages you would like to convey to the readers of Protect Vacation Rentals? For information about the association and to order flyers to spread the word about StayNYC , please email them at info@staynyc.org. Also, read our article to learn more about the advantages of joining a trade association in the fight against the NYC short term rental ban. Does anyone know about the other trade association in NYC called the Short Term Rental and Hospitality Association? I have received an advisory email from HomeAway.com about the proposed Int. 404-A in NYC that would classify an illegal conversion as a “immediately hazardous violation” subjecting the violator to fines of $1,000-$25,000. The website of STRAHA is: http://www.straha.org/ but there are no names or addresses on the website. « Proposed Regulation for Short-Term Rentals in NYC: A Gleam of Hope for Tourists and Small Businesses?